Martinique provides great opportunities to restock your galley. There are large modern-style supermarkets, numerous smaller groceries and specialty food stores, delis, great local bakeries and open air markets. There are also companies specialized in yacht provisioning. Simply order on-line, pay with a major credit card, check or cash, and let the people who provision some of the most luxurious yachts in the islands take care of all your needs. Why bother with food shopping when Appro-Zagaya and their professional staff can do it for you? You can choose from a list of more than 600 grocery items and they will supply the freshest and best quality in local fruit and vegetables. Delivery on board is part of the service. This online yacht provisioning company has a selection of wines, champagnes, spirits and fresh grocery items. Somé, the manager and her staff deliver on board. Open: Mon-Thu 8:00am-7:30pm, Fri-Sat 8:00am-7:45pm, Sun 8:00am-12:30pm. The best provisioning opportunities, a stone’s throw from the Marina. They off er the best quality and price on a large selection of Auchan branded products. Open: Mon-Sat 8:00am-8:00pm, Sun 8:00am-12:00pm. This supermarket has a selection of pre-cut meat, prepackaged deli and cheese, and offers a good assortment of fresh fruit, vegetables, frozen goods as well as a wide selection on French wine, traditional rums and spirits. 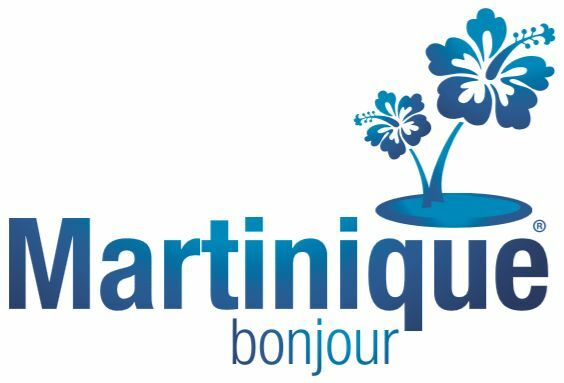 They also offer an online provisioning service www.carrefour-marin.com and arrange free delivery to your dock in Le Marin marina. 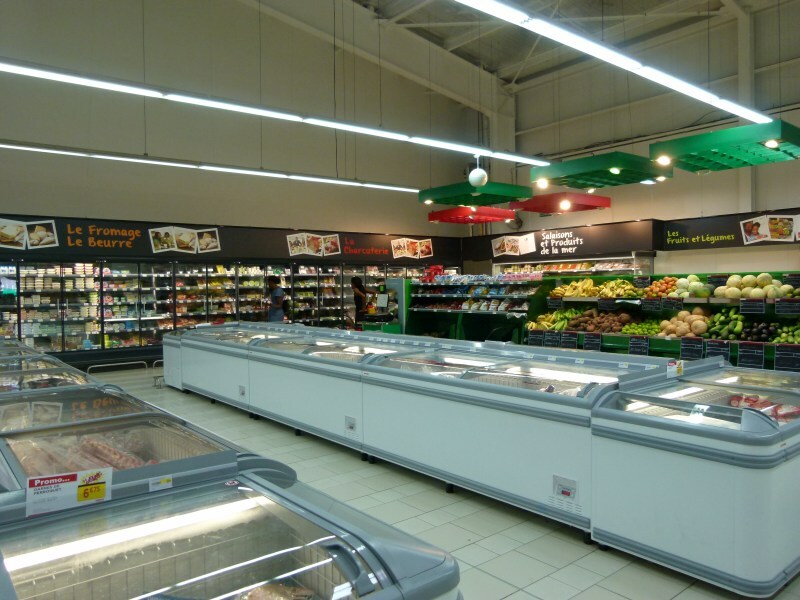 They offer a large selection of fresh and dairy products, local fruit and vegetables, an extensive grocery department to stock up on staple commodities, all at very reasonable prices. Open: Mon-Sat 8:00am-7:45pm, Sun 8:00-12:00pm. Groceries, staple commodities, dairy and fresh products at discount prices. Open: Mon 10:30am-20:30pm, Tue-Sat 8:30am-20:30pm, Sun 9:00-1:30pm. This big supermarket offers almost everything for the whole family : photos, cosmetics and clothes in addition to fresh meat, fish, French cheese and deli as well as fruit, vegetables, frozen and canned foods. 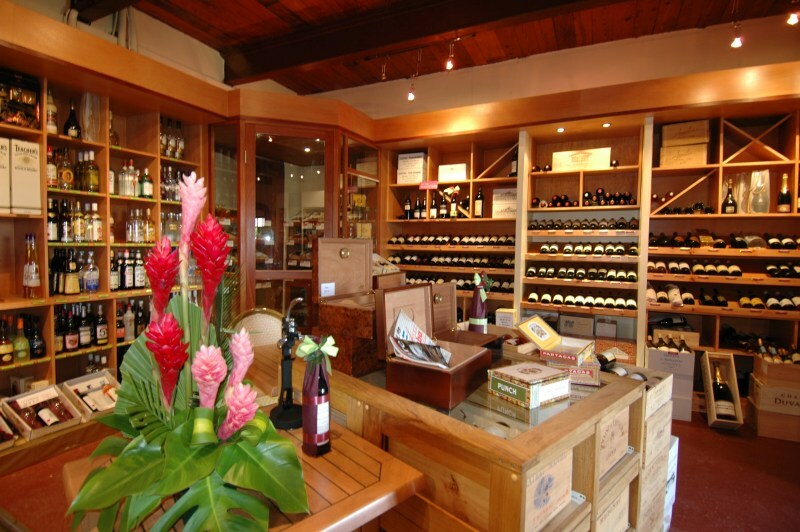 In addition to their wonderful selection of fine wines, select French grand crus, champagnes, rums and spirits Le Château supplies the island with a full range of imported fresh produce as well as an exclusive choice of flavored teas by Kusmi Tea. La Boutique French Touch West Indies - (Airport, first floor) - A must stop for those looking for quality products. 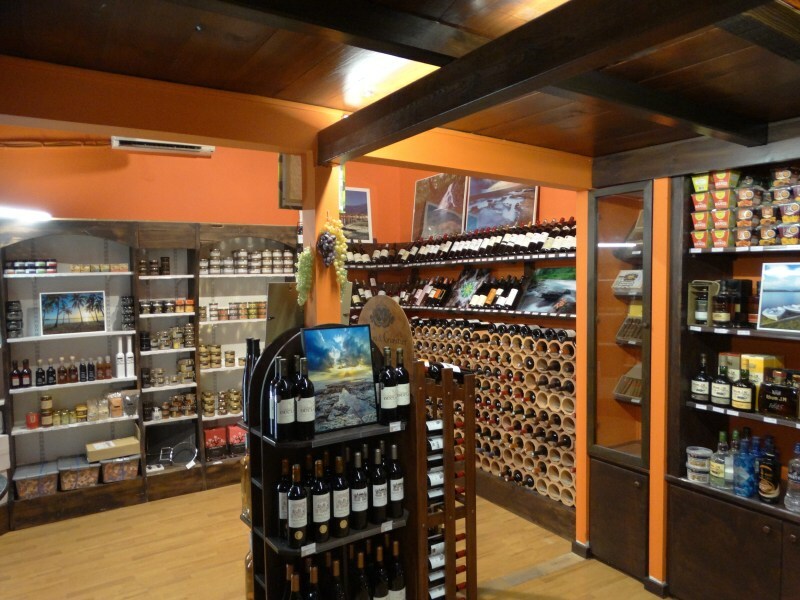 They have a great selection of premium rums, artisanal liqueurs, old fashioned sweets and jams as well as island spices. A great place to find a unique gift, when you return from your Caribbean cruise. Open: Mon-Sat 8:30am-20:45pm, Sun 9:00-12:30pm. It’s the same store chain as Carrefour Génipa. The Caribbean Supplier - Fort de France commercial port. TCS is a large wholesale provisioning wharehouse that stocks a wide selection of fresh local and imported grocery and specialty products. Ask for their price list and choose from an array of wines, champagnes, spirits, beers, tobacco, French perfumes and cosmetics available at duty free prices. La Boutique - Airport, 1st floor. A must stop when leaving Martinique or when picking up relatives and friends at the airport. 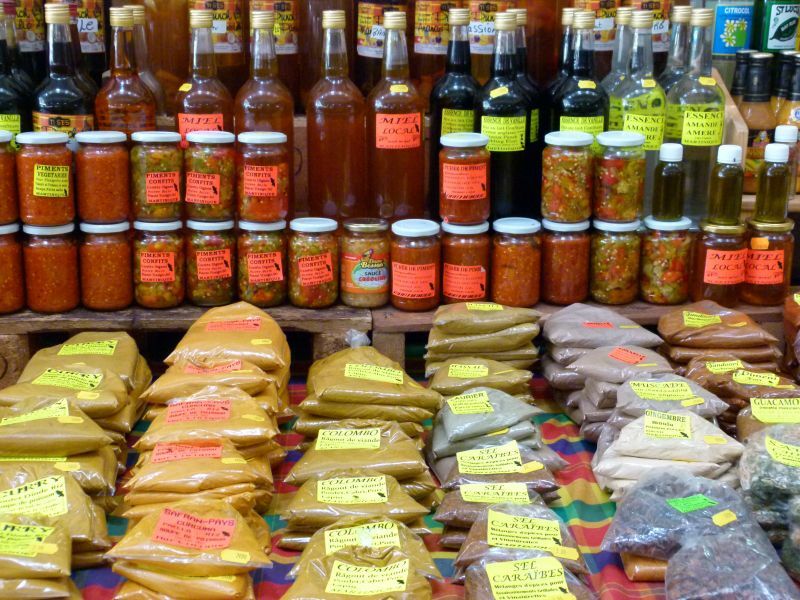 They have a great selection of old fashioned sweets, artisanal jams, rums, liqueurs and island spices. 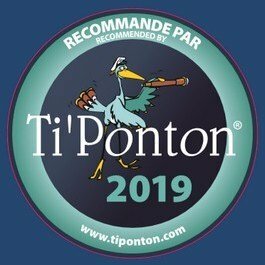 Around the island, you'll discover a number of small supermarkets, (8 à Huit is one name to look for) and other small groceries that offer a surprising variety of gourmet items and local products such as fruits, vegetables, meat, fish and flowers. These shops are generally open 8 am to 8 pm Monday through Saturday and until noon Sunday and are an interesting and picturesque compliment to the larger stores. Besides rum, Martinique is home to two bottled water brands. Didier is mineral water with natural carbonation, and Chanflor, natural spring water. Lorraine is the local brand of beer, brewed and bottled in Martinique. Mont Pelée and Royal bottle a large selection of fruit juices and exotic tropical drinks.